Community Event | "Feathers and Scales"
Celebrate spring at the Aransas National Wildlie Refuge with two programs on Saturday, April 7, 2018. 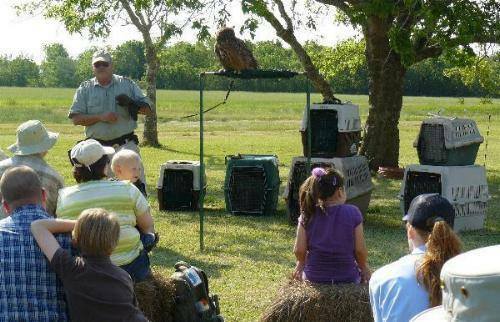 At 11:30 am, enjoy a Birds of Prey Show where you will meet several live raptors and even watch them fly! Learn about what makes these powerful birds unique and fascinating. Bring a lunch and stick around for a presentation on Snakes of Texas at 1:00 pm. This is a chance to see many live snakes, learn more about our native snakes, and perhaps even dispel a myth or two! Entrance to the refuge is free for the day, and this is a fun, family-friendly event. This event will be outdoors so bring your own chair as well as water, sunscreen, and bug spray.